Process Service is the procedure in which the plaintiff may hire a professional process server to ensure the defendant receives a summons to court. The document cannot merely be mailed to the defendant; it must be given directly to the correct person (or left with a suitable person) either at their home or place of business. 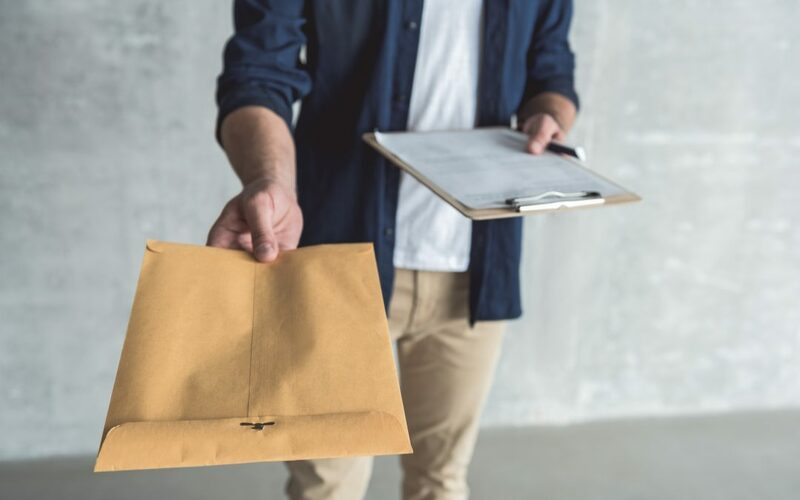 The primary role of a process server is to deliver, or ‘serve’, a subpoenaed person with documents stating when and why they need to appear in court. While that may sound simple, it often involves a lot of time and due diligence on the part of the server. Many times the defendant knows they are about to be served a subpoena and will do everything they can to avoid the process server. The process server will start with the last known address of the defendant. But often that is not the current address; this is why we offer skip tracing (the process of locating someone). Because of the defendant’s desire to remain hidden, the server may have to travel to the new location of the individual, learn their schedule, and even stake-out at the defendant’s residence or business. Process Service is not an easy task, but our tenacious process servers will get the job done for you. Why does someone have to be served legal paperwork? The 5th Amendment to the Constitution of the United States informs that no person shall be “deprived of life, liberty, or property without due process of law”; thus ensuring that all citizens have the right to be informed of being summoned. Appropriate notice of legal action to the other party must be given. For this reason, we offer Process Service. In smaller towns, the sheriff is given the job to deliver court papers; this becomes difficult when sheriffs are busy with other public matters. So now process servers are hired to perform this job. After delivering the legal documents, process servers must provide evidence of the successfully served papers through an Affidavit of Service. The Affidavit is notarized and given to the individual or company (law offices) who hired the process server. Click here to submit your Process Service order today and hire a professional server to deliver your court papers successfully. The courts may not be able to rule on a case relating to an individual if that person is not legally made aware of the filings against them. So if your defendant does not receive the served paperwork, the case may not proceed. Having a professional company handle the Process Service will help ensure your case does not get held up due to the defendant not being notified. If you have any questions regarding Process Service, click here to send a message or speak directly with us. Our Process Service produces fast, accurate, and legally compliant results. All of our process servers receive an extensive background-check followed by a training program that exceeds our client’s standards. Click here to learn more about what our Process Service entails; and when you’re ready, complete our Order Form to have One Source Process quickly and professionally serve your legal documents. Pdf, doc, docx, jpg and png. Up to 20 MB.